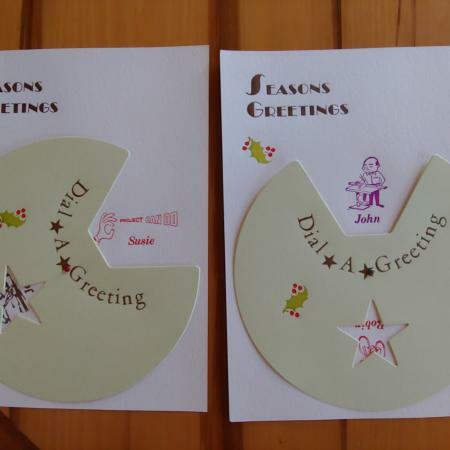 It is time for my annual invitation for you to post your handywork of Christmas and Chanukah cards. I am a good printer, but quite limited in the design and artistic departments. I enjoy seeing what the more talented can do. It is not bragging when you respond to an invitation to post. It is sharing. 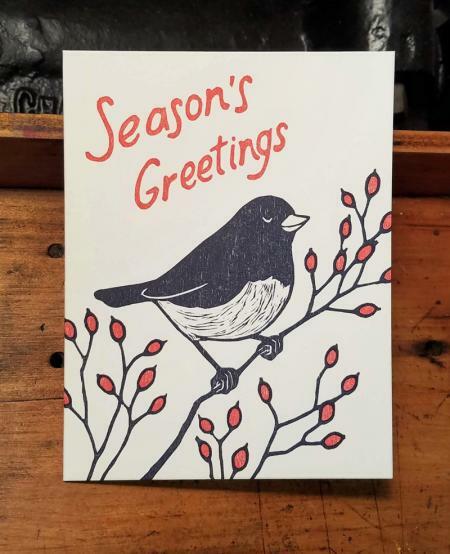 Here is my Junco card for the year! It’s printed from 2 woodblocks on recycled stock. I’m very pleased with how it turned out. Nice work Bowerbox. Thank you. This is not a competition, but you get the award for first submission.. The proof is in the product and not the machine. Still, some may be interested in the press used. Oh yes! 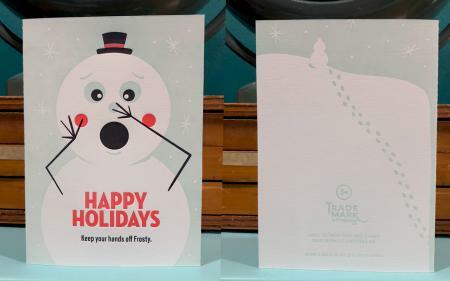 I printed the cards on a Vandercook Universal 1 and scored on a C&P. Maybe everyone else is still printing their cards! 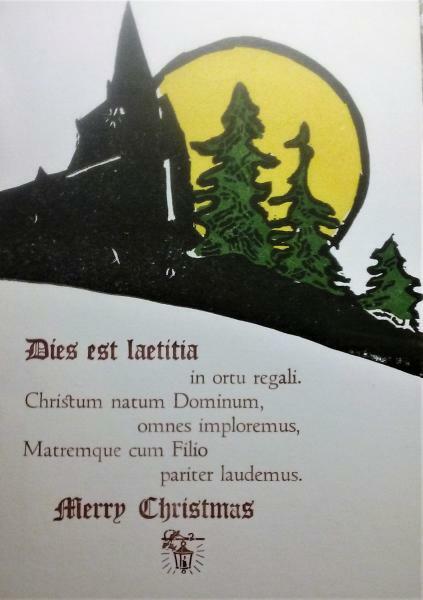 Printed this one last year on Fabriano Medioevalis pre-folded card stock. Here is my first try at printing on the windmill. Nice cards here! Here is the Loedengreg Press Christmas card for 2018. 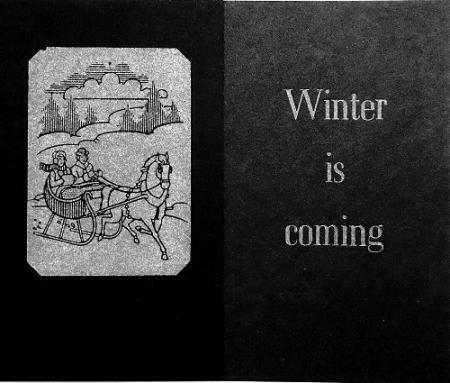 We made our first card in 1968. 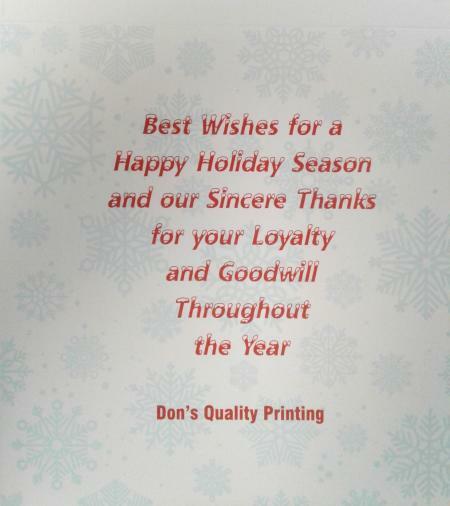 Thus, our 50th year designing and printing Christmas greetings! Tempus fugit, sed lento. Cheers to all! A short run (because I only had one sheet of black paper: 22x30” Stonehenge) of a solstice card. An experiment of printing white on black with a found holiday tree ornament and some 36pt Glamour Light type. The photo shows the front (on the left) and inside text using 2 copies. Folded size is 5x3”. Hope everyone had a Merry Christmas! Cheers to the New Year! 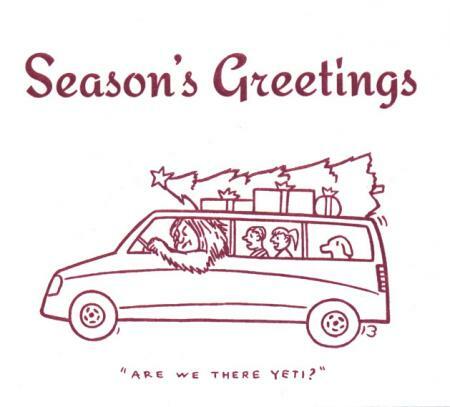 A fun holiday card from this year. 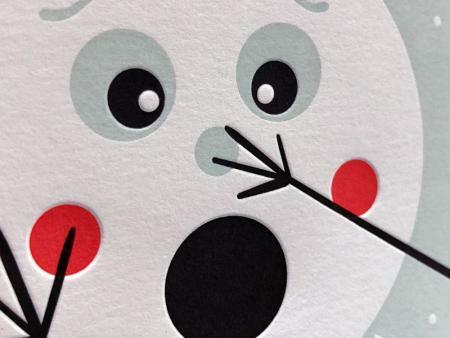 Three-color A7 card printed on 110# Crane Cotton. a little late to the game but here is this year’s card for my software company that happens to utilize a hexagon in it’s logo and brand identify. 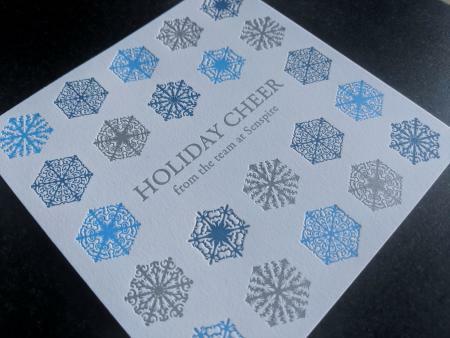 my wife designed a beautiful card that extended the shape to some seasonal snowflakes printed in three colors. 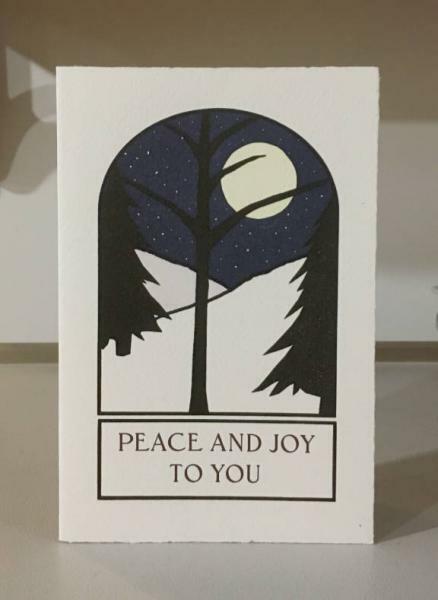 Thank you to all who posted a copy of your card. Many of us appreciate viewing your work. While the season is fresh in mind, it is time to get out the sketch pad and start your work for next year. It will not be a race, but you could be first to get your card in. Could I get the prize for posting the latest? 7 color runs on a C&P 10x15 new style, two on a pilot, dried on the (covered) hood of a ‘59 Corvette. Hand set type with vintage eBay ad blocks.